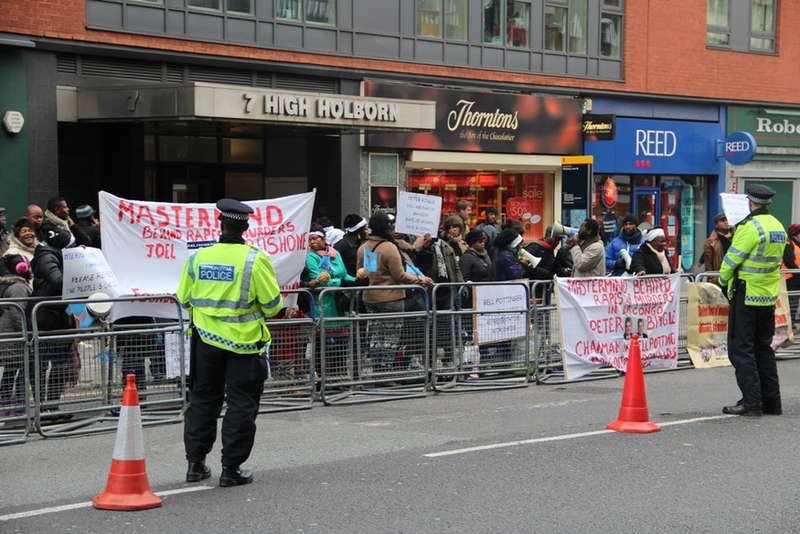 A static protest by a small but vocal group of Congolese expatriates led to the partial closure of High Holborn yesterday. However, with so many people taking holiday between Christmas and New Year and the streets rather quiet, the disruption was a fraction of what it would have been normally. 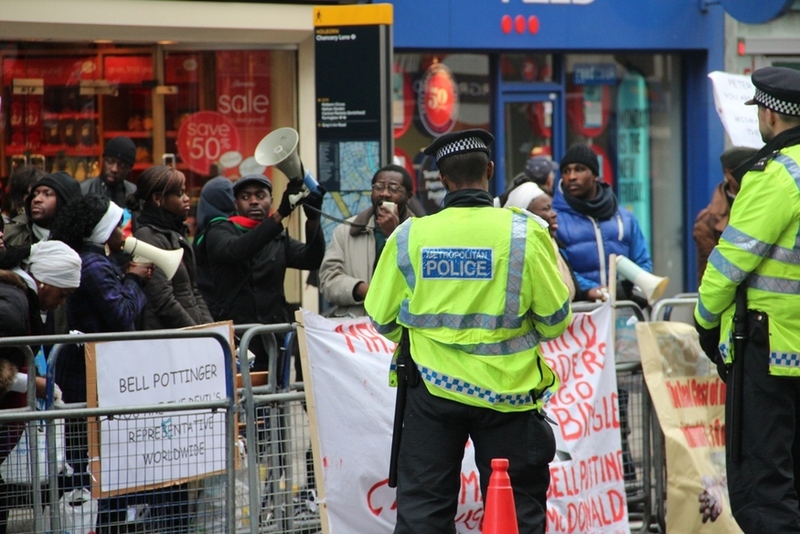 While that meant a sometimes dismally small audience for the placard-wielding group, they didn't seem to mind as their ire was focused on the offices oppostite, the HQ of PR firm Bell Pottinger, which has apparently acted on behalf of the southern African country's government and its president, Joseph Kabila. If the name Bell Pottinger rings a... er... bell, that's because it was the PR firm caught out by the Bureau of Investigative Journalism for 'boasting about its access to the heart of government', as published in The Independent. This protest comes on the back of larger-scale incidents in reaction to the recent re-election of Kabila. Earlier this month, the police arrested nearly 150 protesters when a similar static protest in Whitehall got out of hand. 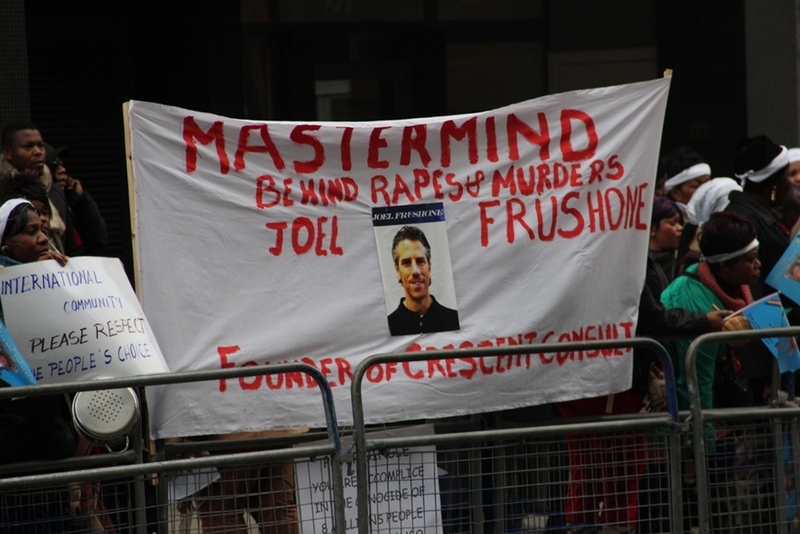 Here, the protesters were clearly focusing their anger more specifically, both at Bell Pottinger and somone called Joel Frushone. 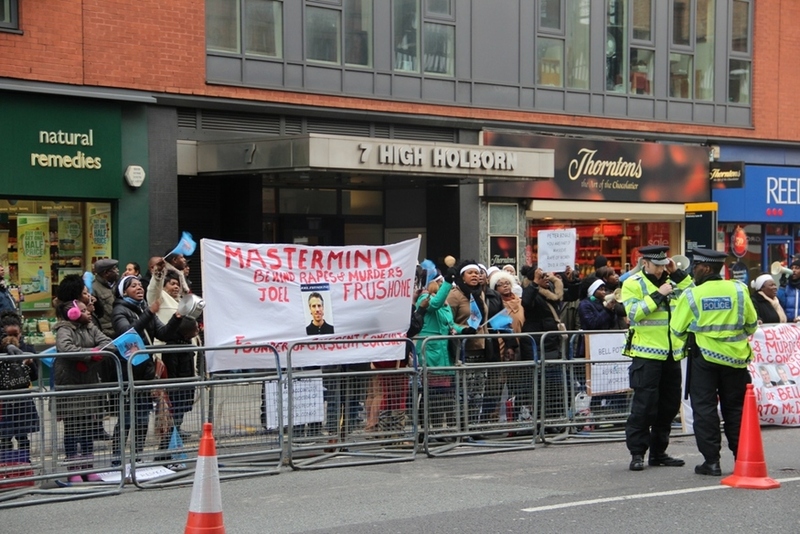 To chants of 'Kabila must go', the protesters waved placards (see second image above) accusing Frushone, a consultant of some kind, of all manner of terrible things. See the second page of this article, in the BBC's Focus on Africa magazine, for his opinion on the matter.